And the Judicial MVP Award goes too … senior judge Fred Berman, for carrying two county court criminal divisions, and getting ready to pick up a third, on, get this, a part-time basis. And that’s not all. He’s whittled down Mary Robinson’s division to a few hundred cases, to the point we’re told Court Administration is getting ready to eliminate Division MM once and for all. Thanks, Fred! – Fred Horowitz hasn’t begged off his jury room responsibilities, thus far appearing every day this week as scheduled. No one can accuse him of aiding a fellow judge’s reelection campaign, that’s for sure. He’s in there again Wednesday, with Jeff Levenson on deck for next week. Well done! 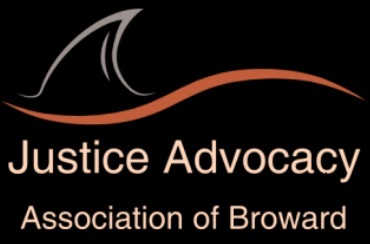 Previous PostBROWARD JUDICIAL SURVEY IINext PostOH, AMBIEN! After repeatedly saying she “cannot” talk about her pending DUI charge, Broward Circuit Judge Lynn Rosenthal eventually conceded to the Sun Sentinel’s editorial board Tuesday that she “won’t speak” about it. Since her May 27 arrest on two counts of driving under the influence, Rosenthal has not returned calls to Sun Sentinel reporters seeking comment about the case. But the judge, who is in the midst of an election campaign, did show up Tuesday for an interview with the newspaper’s editorial board and her opponent, defense attorney Frantz “Jahra” McLawrence. “As much as I would like to talk, I really cannot do it at this stage, but at some point I will,” she said. Rosenthal, 56, is accused of driving to work at the Broward County courthouse while under the influence of drugs, striking a parked patrol car and repeatedly hitting the gate of the judges’ parking lot with her BMW , according to the Broward Sheriff’s Office. She was also accused of driving into a concrete median on Interstate 595 shortly before her arrest. Deputies said Rosenthal admitted to taking an Ambien pill the night before her 8:45 a.m. arrest, and although she was unsteady on her feet and was speaking with a slurred voice, she did not appear to have been drinking alcohol. Rosenthal submitted to a breath test but refused to give blood or urine samples to test for the presence of drugs in her system. The interview was a series of Rosenthal refusals when it came to any aspect of her arrest. She declined to comment on why she initially prevented release of her jail mug shot. She also declined to disclose what medication she had on her when she was arrested. It has been redacted on her jail property receipt. “As much as I would like to talk, I really cannot do it at this stage, but at some point I will,” Rosenthal said. She also declined to specify why voters should re-elect a judge with a pending DUI charge. “As much as I’d like to speak about it, there is a judicial process and I cannot speak about it,” Rosenthal said. When pressed, Rosenthal eventually conceded that it wasn’t a matter of not being able to speak about it, but rather she has opted not to. The election is Aug. 26. The legislature passed and the Governor signed into law the approval of only three new DCA judges; no new Circuit and no new County Judges for 14/15. See HB 5301. HB 5301 passed the House on May 2, 2014 and subsequently passed the Senate on May 2, 2014. The bill conforms to the Fiscal Year 2014-15 General Appropriations Act (GAA) by creating three additional appellate judgeships within the state. The Supreme Court Order No. SC13-2296, dated December 19, 2013, certified the need for three additional judges in the appellate courts. Specifically, the bill creates two additional judgeships in the Second District Court of Appeal and one additional judgeship in the Fifth District Court of Appeal. The Fiscal Year 2014-15 General Appropriations Act appropriates $1.3 million in recurring general revenue and 12 FTE with associated salary rate. See fiscal impact section. Subject to the Governor’s veto authority, the bill has an effective date of July 1, 2014. If media pressure continues Mr. Mclawrence may end up the luckiest person since Cubano lottery winner Jorge Labarga. Peter needs a vacation lol. Judge Rosenthal provided the Broward County Sheriff her own video. Um, since when is hypocrisy a character issue in Broward? YOUR ARE JUST NOT MADD ENOUGH!